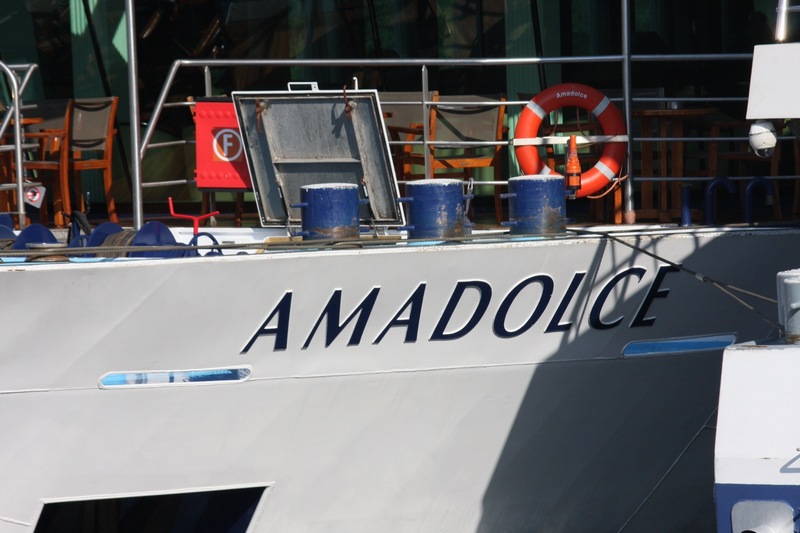 Kongo returned to the USA on Wednesday after a 14-day Danube River cruise aboard the AMA DOLCE, one of the newest ships in the AMAWaterways fleet. This is a review of that trip. If you’ve ever considered taking this type of cruise I hope you continue reading. Kongo is not an ocean cruiser. After spending more than 30 years in the Navy he has had more than his fair share of ocean cruises to plenty of exotic ports. The idea of joining a couple of thousand other monkeys on a luxurious ocean liner and herding ashore with all of them at the same time just wasn’t appealing. Kongo prefers to strike out and explore his jungles by himself. But two years ago Kongo’s good friend and travel agent suggested a river cruise in Europe on the Danube River. The 14-day trip would involve flying to Budapest and spending two days there sightseeing then board the ship for a 7-day/6-night sail up he River Danube to Nurenberg, Germany followed by land transportation to Prague, Czech Republic for another three nights and then returning home. There would be several stops on the river and tours at each place with free time for exploring. Kongo scratched his monkey head, considered the cost (these are not inexpensive vacations) and amount of time involved, calculated how many frequent flyer air miles it would take to get him and Mrs. Kongo there and back in style, and put down his deposit. It turned out to be one of the best vacations Kongo has ever had and is already thinking about another one in the near future. Kongo flew Delta (what else?) from San Diego to Atlanta and from there on to Amsterdam where he cleared EU customs and boarded a plane for the short flight to Budapest. 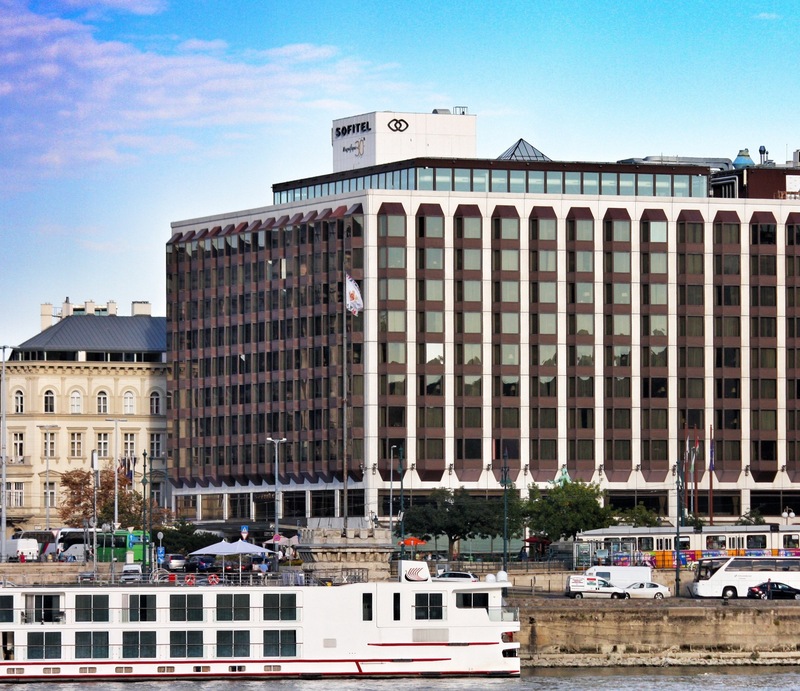 A private car met Kongo at the airport and delivered him to the Sofitel Hotel in the middle of Old Budapest (on the Pest side) on the River Danube. The Sofitel is rated a five-star hotel but it really was more like a 4-star. The accommodations, however, were great. An excellent breakfast buffet was included with the package and there is free WiFi which is very important to Kongo. After two full days of touring Budapest which included one AMAWaterways full day tour, a bus picked up Kongo and other passengers for a short ride to where AMA DOLCE was docked. All baggage is tagged and loaded at the hotel and delivered to your stateroom. Arrival was quick and painless. 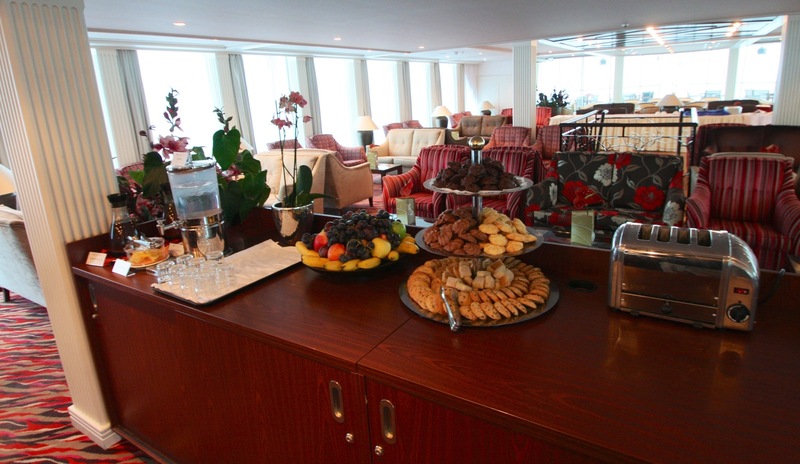 A light lunch was provided, the bar was open, and after a short wait the captain introduced the crew and we were escorted to our staterooms by our individual house keepers. Kongo had reserved one of the four suites on the AMA DOLCE and was so, so happy he did. 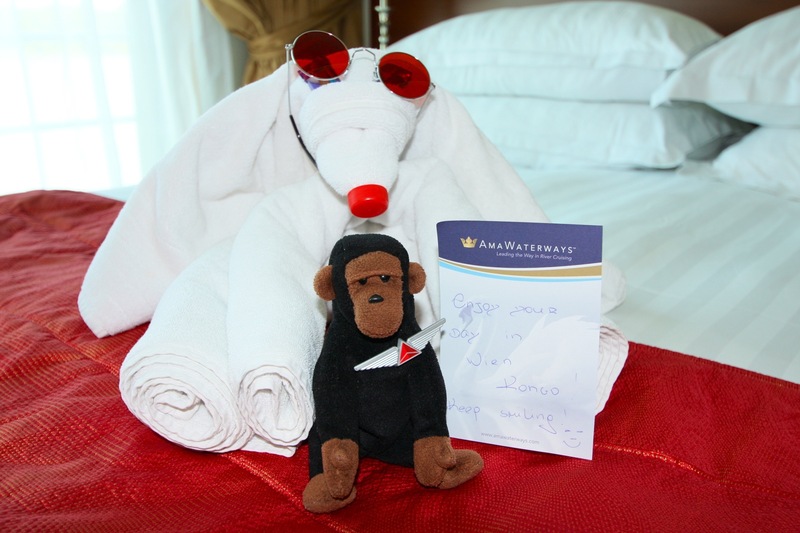 The extra room and small touches made a big difference and here’s his first MONKEY RECOMMENDATION: Always get the biggest stateroom you can afford. 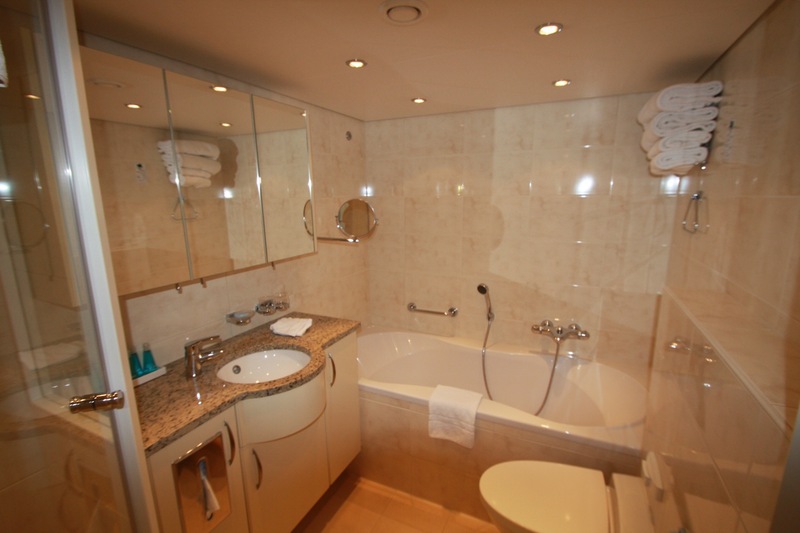 The extra room for luggage and packed clothes and extra amenities are worth it. Trust Kongo on this. 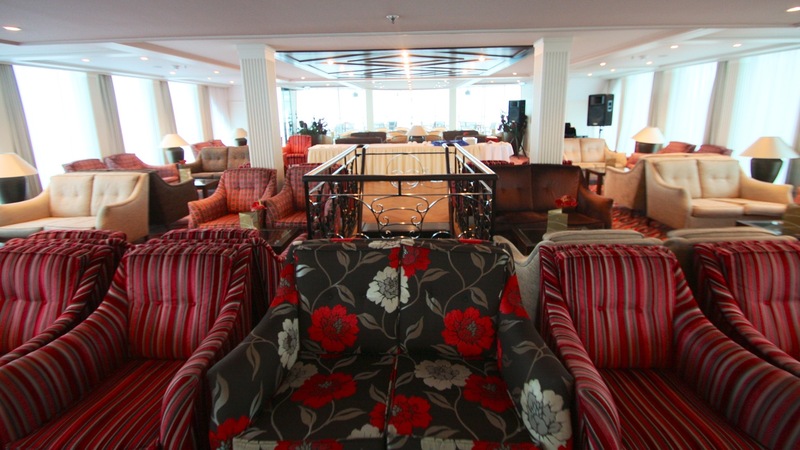 Each of the staterooms has an integrated television and computer system that includes free internet access, local and international TV channels, movies, and live cameras of what is happening in front of the ship. 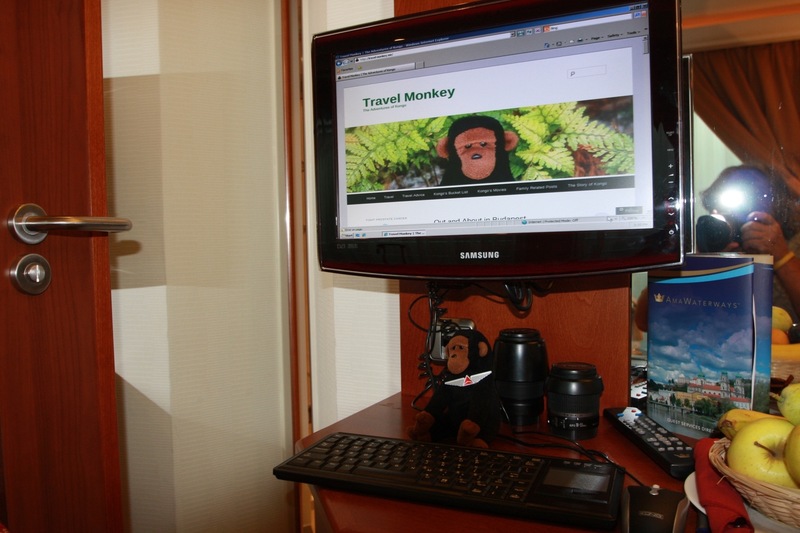 Kongo used the computer to keep his blog updated throughout the cruise portion of the trip as well as keep abreast of the news and occasionally check his email. 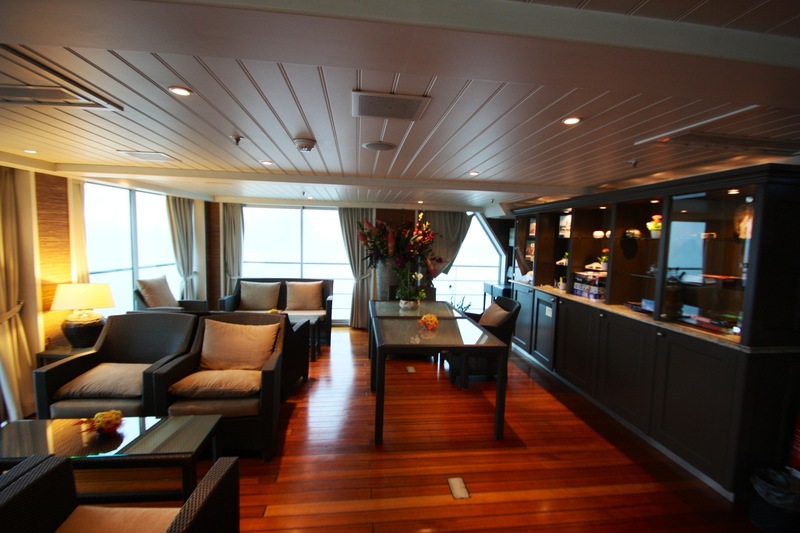 The staterooms also have a French balcony where you can open the doors and let fresh air in. The ship mostly sails at night but there are many days that have several hours of daylight cruising, which is great to watch the world slip by, watch the interesting activities as the ship transits more than 25 locks on the river, or just laze around on deck. There is an early breakfast for early risers like Kongo, a full-blown breakfast buffet and short order station with incredible pastries, fruits, and a variety of choices. Lunch includes a selection of local food as well as the traditional fare like sandwiches, burgers, and so forth. Dinner is a single seating with a varied menu of local cuisine depending on where the ship is at the time. If you’re not into the Hungarian goulash you can always order chicken, steak, or salmon. The ship has room for 148 passengers. This is a pretty small group overall but big enough to avoid anyone you rub the wrong way. 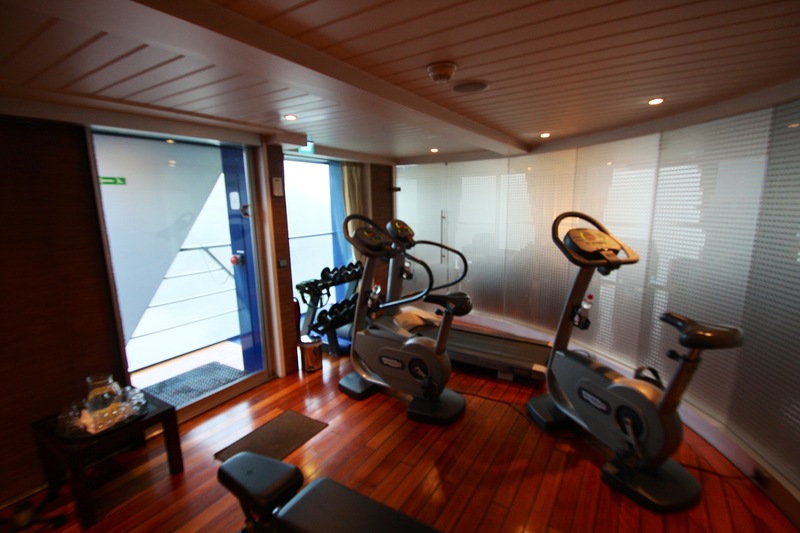 The ship has a large lounge and dance floor, nightly entertainment, a rear lounge, workout room, sauna, hot tub, observation decks, 24-hour coffee/expresso station, fully stocked bar, a beauty salon, and laundry facilities. 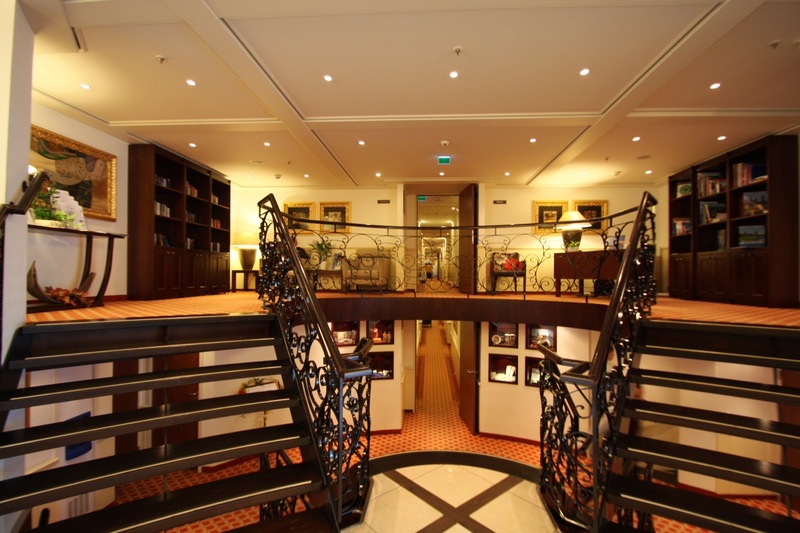 In Prague, Kongo was put up at the Old Town Hilton. It’s an “okay” hotel but in Kongo’s opinion not as nice as the Sofitel he stayed at in Budapest. Except for free WiFi in the lobby, internet access is $30 Euros a day, which in Kongo’s humble opinion, is outrageous. When are these big hotel chains going to get it about the internet? If a Holiday Inn Express can provide free internet certainly the fancy hotels can too. Even though you can “afford it” you feel like you’re getting ripped off and monkeys don’t like to feel ripped off. Having to pay mucho bananas for internet access takes away from any other admirable qualities a nice hotel might have but that’s just this monkey’s opinion. Wine and beer are included with all dinner meals aboard the ship. 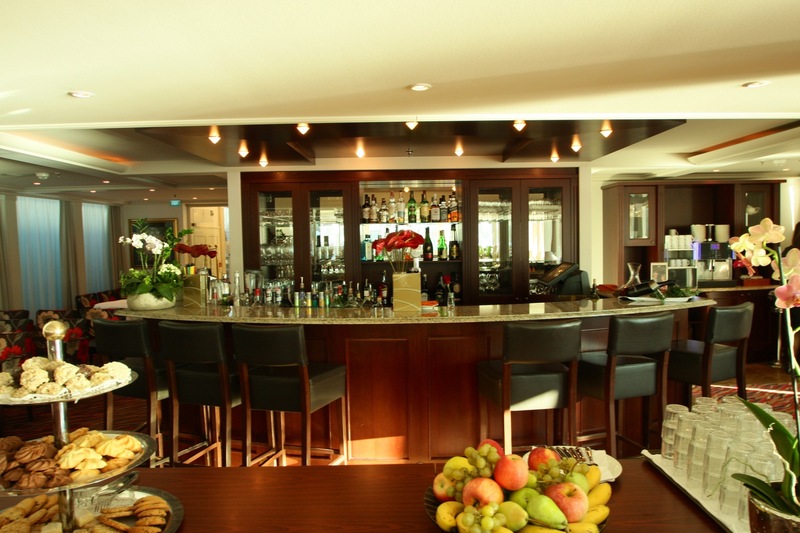 Drinks from the bar (including soft drinks) are charged to your room and you settle up with the purser at the end of the cruise. Return transportation was a private car pickup and transport to the Prague airport then a direct flight to JFK (Delta again), an overnight in NYC, and back to San Diego the following day. 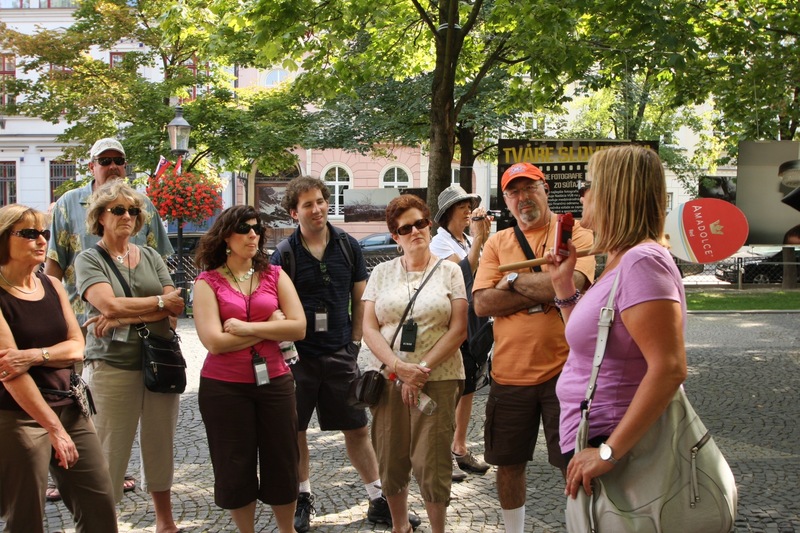 A variety of tours are provided as part of the cruise package and there are additional optional tours that can be purchased. 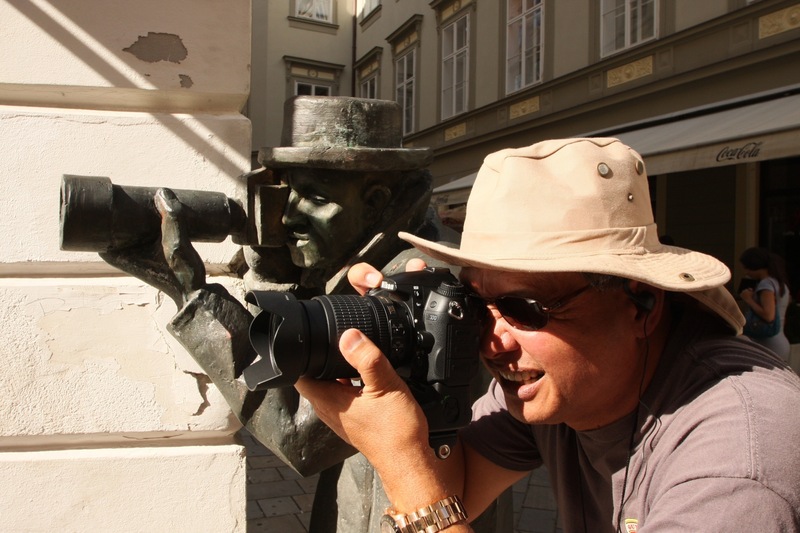 Included tours were a full day tour of Budapest, a half-day tour in Bratislava, A half-day tour in Vienna, Durnstein, Regensberg, Nuremberg, and a full day tour in Prague. Kongo took optional tours to Salzburg, Schornborn Palace in Vienna, Karlovy Vary, and Kutna Hora (both in the Czech Republic). 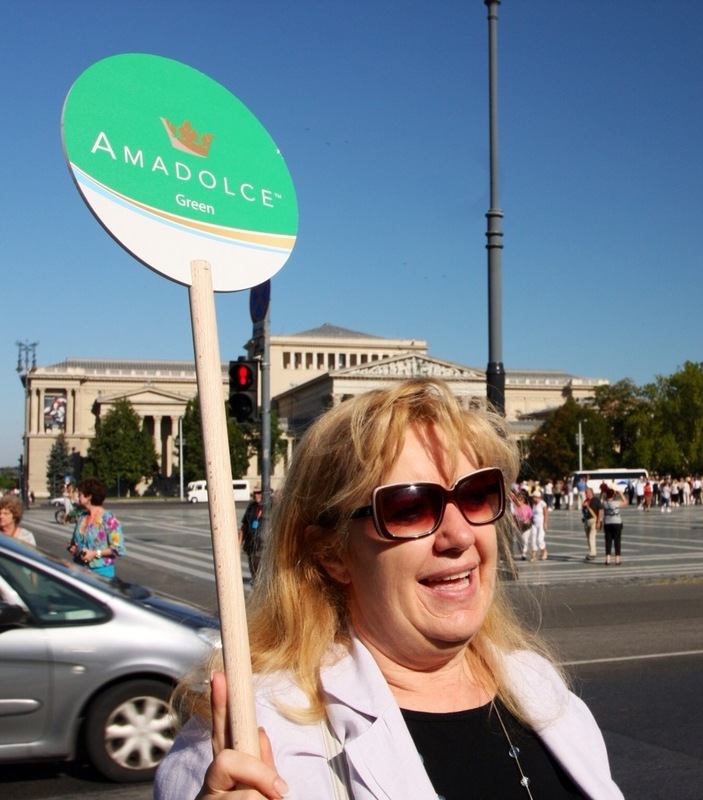 AMA tours are adjusted for the different physical and mental attitudes of the passengers. There are tours for slow walkers, quick striders, late risers, and so forth. Just about something for everyone. Passengers tour in small groups of about 15 and the tour guides at each of the locations were generally excellent. One really cool technical aspect of the tours was a headset that allowed you to wander about and still be able to hear what your individual tour guide is saying. When transportation is provided the busses are clean, modern, and efficient. MONKEY RECOMMENDATION: Take advantage of the tours. Sure you are just one monkey in a group but the quickest way to get an overview of your location and some background on the history of what you’re looking at is through a tour. It is also a great way to meet new friends and get to know your fellow passengers. Most of the tours are set up so that you can bail out at any time and still know how to get back to the ship on time for sailing. River cruising is not for families. It’s more of a couples thing although several single women as well as a few single men were on Kongo’s cruise. There were no children and frankly having little kids running about would have made an entirely different atmosphere aboard AMA DOLCE and it’s not one Kongo would have appreciated. AMA Waterways caters to English-speaking adults. Most of the passengers were American although there were some Canadians, a few Brits, and a couple of Irish on board as well. These passengers are older (mid-50s to mid-70s), fairly affluent, very well travelled. and experienced. Kongo’s passenger list included doctors, lawyers, retired CEOs, a retired federal judge, and a host of others who have led interesting lives. Since you’re going to be spending a lot of time with these river cruising monkeys it’s a good thing that they’re generally compatible and come from similar backgrounds that minimizes some of the culture clashing issues you might find elsewhere. Not that mixing cultures is a bad thing. Not at all. It’s just easier to relax and get to know your fellow shipmates when you have somewhat of a similar starting place. 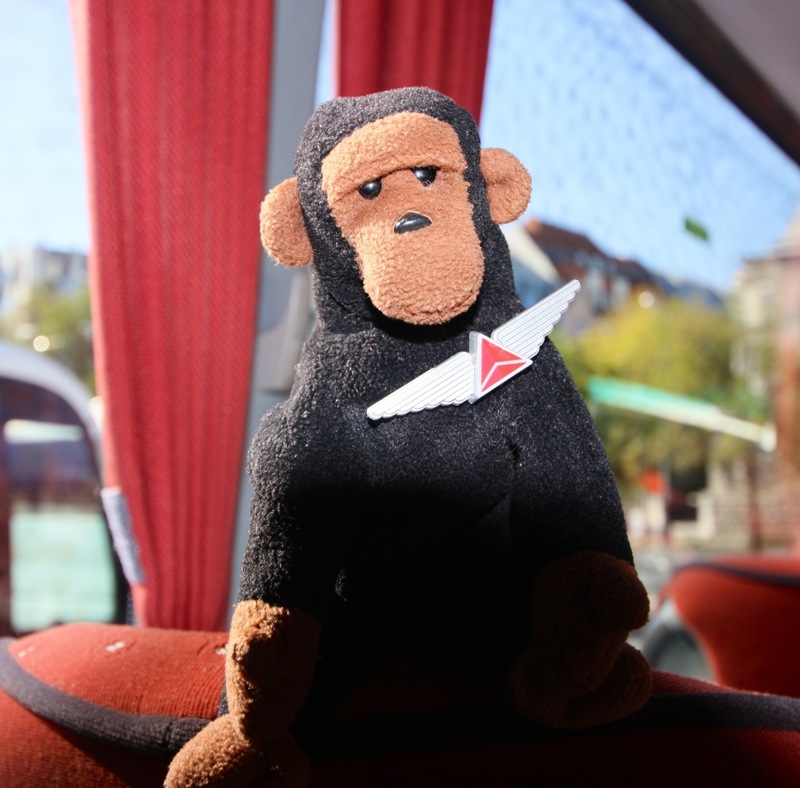 MONKEY RECOMMENDATION: Go out of your way to meet new people on board every day. Memorize their names. Many people are shy but underneath they really, really want to meet other people too and they’ve paid a lot of money to have some fun so get in on the act. Sit with strangers at dinner, chat up that woman from Toronto on the bus, and ask others to tell you about themselves. You’ll be amazed at what you learn and meet new friends too. Kongo gives AMA Waterways high ratings. It knows its primary target market and goes out of its way to accommodate them. There was a lot of personal attention to detail and the staff went out of their way to make sure everyone had a great time. Logistics: 5 out of 5 bananas. AMA was spot on in pickups, connecting transportation, tours, and arrival and departure times. Meals: 3 out of 5 bananas. The meals were very good but not great although breakfast was fantastic. Deserts were excellent but the dinners seemed only average. It was all very good, just not the best Kongo has had at other all-inclusive resorts. Accommodations & Housekeeping: 6 out of 5 bananas. 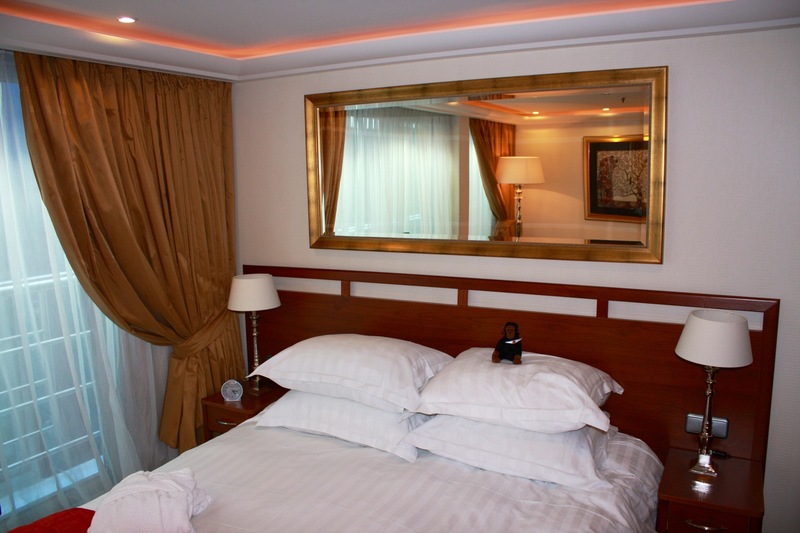 The stateroom suite and attentive service was over the top. Tours: 5 out of 5 bananas: The tours were appropriate, well organized, and provided a great perspective on the places visited. Overall Grade: 5 out of 5 bananas. AMA Waterways is a great business. They have been in business for 10 years, have a great track record, and extensive portfolio of tours. It is family owned and the attention to detail in the ships, routes, equipment, and staffing is outstanding. River cruising offers monkeys with a hankering to see something other than the ports the large cruise ships visit the perfect mix. It’s probably a bit more expensive than your typical ocean cruise but I think it’s worth the money. See Kongo’s video of the cruise here. It is obvious that Kongo and Mrs Kongo had an enjoyable trip. So thrilled that you were able to experience this adventure and appreciate being able to see this part of the world myself through your blogs. And thanks for watering the plants on the weekend, Toni! It all looks very luxurious and I know you stopped at some beautiful places. Can’t beat a satisfied monkey. Thanks for liking my blog post. Yours looks quite interesting, I’ll be sure to check it out! It’s on my bucket list now! That’s great! I think you will love it. Raeski and I took a Rhone River cruise on the AMA Amadago. What a great trip! Smaller ships means more individualized attention and great food and wine. We loved it and recommend it to anyone who prefers more intimate settings. I agree completely. The small passenger size on the river cruises made it easy to meet new people but you could get away from the crowds and “players” on some of the larger ocean cruises. And I really liked AMA attention to detail, service, and overall quality. The whole package looks great. I have a question about gratituity, how was it settled? Was it added to your bill at the end of the cruise or did you hand it yourself to the staff as you do in other ocean cruise lines? Thanks for taking us through such a beautiful experience. I’m glad you enjoyed the review. It was a fabulous time and probably the best vacation I’ve ever taken. Regarding the gratuity. While there were no specific guidelines, they distributed envelopes to take care of the staff on the last day. As I recall, we put $200 or so for the general staff into it and we tipped our housekeeper another $100 as she made our room three or four times a day. We also tipped tour guides extra along the way…usually $5 or $10 per tour. 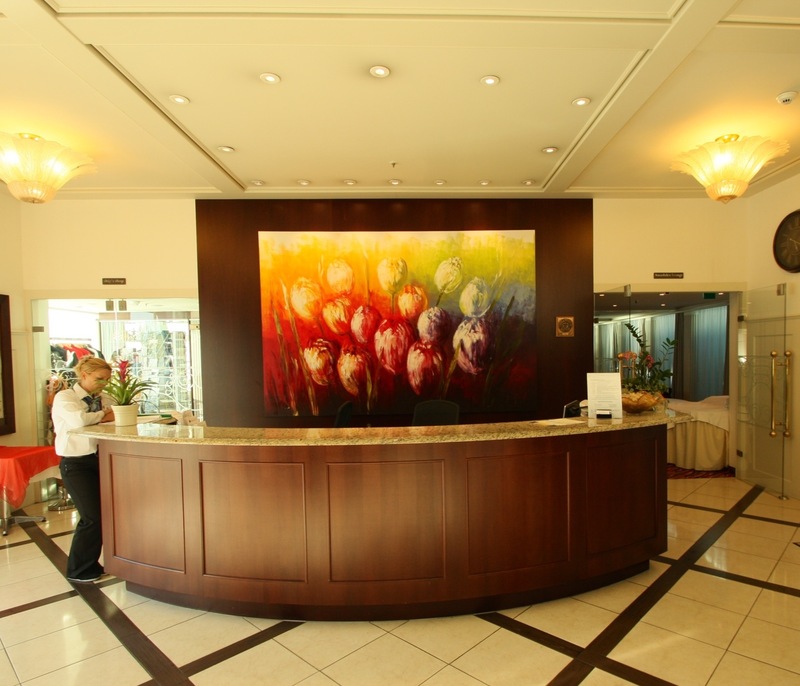 Overall, compared to the price of the total package gratuities were negligible, in our opinion. Kongo: Thanks for the great post. We are going to make out first river cruise (same route as yours on the Danube) next August on AMA and found tons of good info in your posting. Since this is our first cruise, can you offer any practical advice on what to pack (or not pack), etc? We’ll be going with another couple and are planning to add in another day in Budapest and Prague. 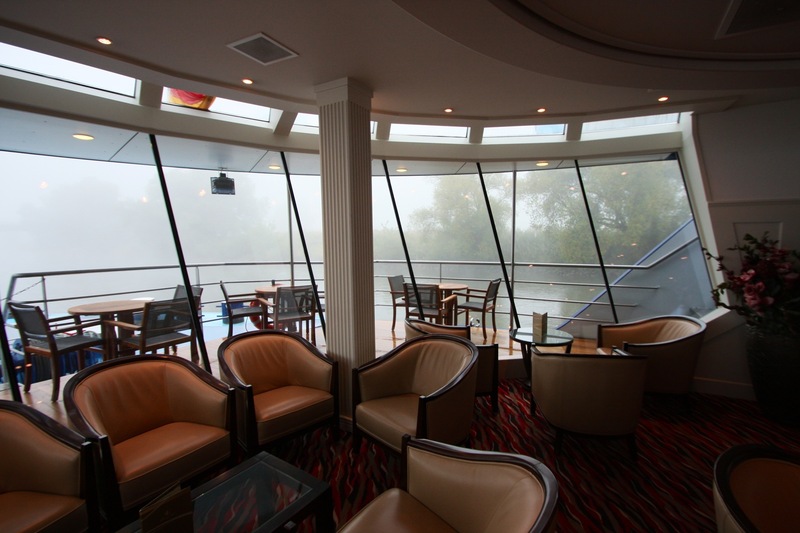 PS: Did you ever follow up with another river cruise? Hi, Daniel. Thanks for your feedback. Comfortable walking shoes are a must for a trip like this. At the time of year you will be visiting be sure that you have lightweight clothes and a waterproof jacket in case it rains. I packed a tuxedo for the opera in Vienna but could have gone much more casual. I think a few pair of slacks and a standard blue blazer will give you more than enough options for dinner dress. Daytime is casual. Women, of course, are always properly dressed. My personal belief is that you don’t need more than two pair of shoes but Mrs. Kongo will disagree on that point and can’t seem to go farther than 50 miles from home without at least five pair of shoes. 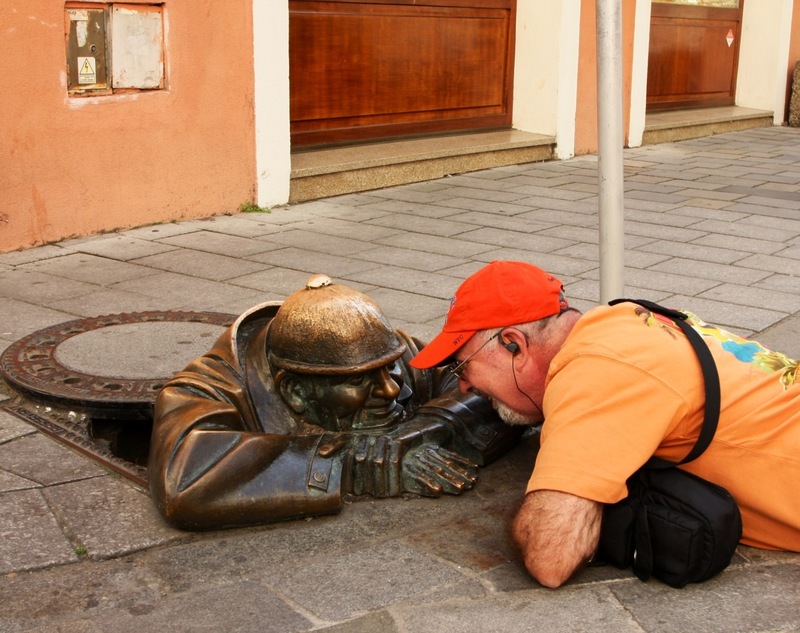 The extra time in Budapest and Prague is a good idea. If your schedule permits I would even consider two or three days in Prague to be able to visit some of the nearby villages and sights. 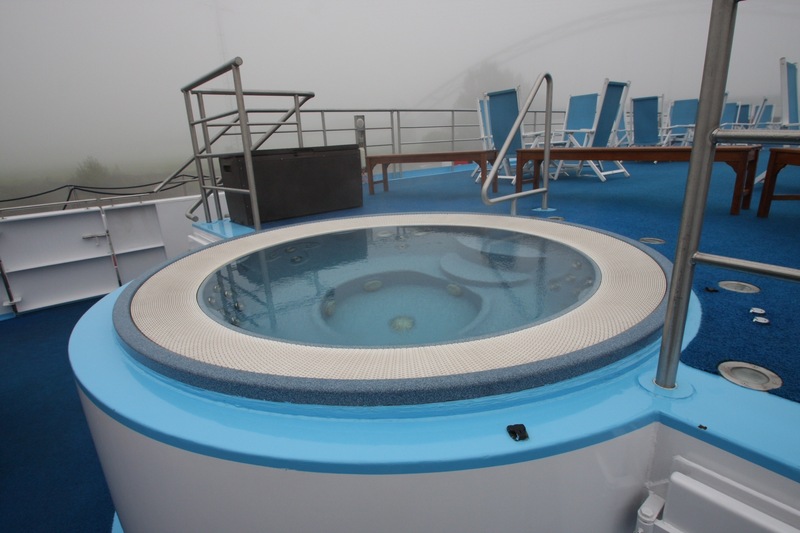 We just finished a Viking Ocean Cruise in September (see the blogs) and are booked for another AMA river cruise in September 2016 that goes from Amsterdam to Basil, Switzerland on the Rhine. We are getting to Amsterdam 3 days early and plan to go to Geneva for three days following Basil and fly home from there. I’m sure you’re going to have a wonderful time. It’s a great cruise. Travel safe and have fun. Wow – thanks of the prompt reply. I would like to avoid looking like the classical american tourist. I forgot, but one of the ladies asked about doing a load of clothes on the boat mid trip. Thoughts? Daniel, my personal thoughts are that it is hard not to look like a classic American tourist when you’re traveling on a river boat with 100 other Americans. Obviously, you can avoid the college and team sport logos. I don’t think European males beyond a certain age wear a lot of Bermuda shorts. Certainly they do not wear white or black socks with sandals! and they don’t wear baseball hats either. Have your lady help you pick out a nice silk scarf and learn how to tie it. Men wear scarves all year log and it’s fun to get into it. A pair of khakis, a nice solid color shirt with a nice scarf and you’ll fit right in anywhere in Europe. As far as laundry, don’t worry about doing a load of wash. The prices for having laundry done on the ship are ridiculously cheap and the last thing you want to do after traipsing all over Vienna on a walking tour, eating a big dinner, and dancing, is to worry about doing laundry yourself. It’s a great idea though, and I only bring enough clothes for about half the days I’m traveling and always use the laundry (either hotel or ship) at the halfway point.